If you have any questions regarding filling out this form, feel free to contact us at Toll Free: (877) 724-2744. Discounted Group Rates are available upon request! Please contact our Training Manager Thomas Moore at (219) 554-2180 for more information. Course materials are in English. If you need special accommodations, please contact us at the above number. 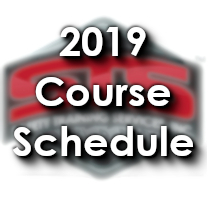 Click Below to Verify Your Training Course's Start Date!